That’s right, I’m going “full nerd” on this one, engaging in a debate that sci-fi dorks loved to have bitter battles about in the ’90s. 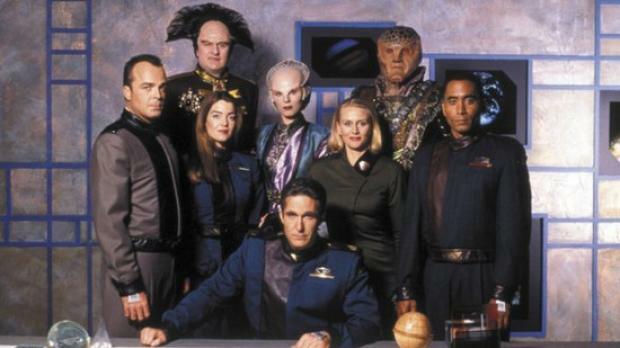 BABYLON 5, a cable series created by J. Michael Straczynski, was forever compared to the slightly more mainstream STAR TREK: DEEP SPACE 9, which many claiming that DS9 ripped B5 off. I can’t comment on whether or not that happened, as I wasn’t there, but comparing the two shows, I’ve never felt there was any question which one was stronger. To its credit, DS9 got a lot of things right. Its production value and cast were top notch, and it did things that had never been done before in any TREK show. A lot of the character development was great, with Odo and Gul Dukat having the strongest plotlines. But the show suffered to me in that it was very unfocused. For most of the first two seasons, the show wasn’t even any about any one thing. It was just “the TREK show that wasn’t on a ship.” Each of the characters had individual storylines, but there was no unifying theme. Once the Dominion was introduced, it became the main focus of the show, but even then, there were many other little storylines (the Maqui, the Ferengi episodes, the MIrror Universe episodes) that really had nothing to do with anything. Even once the war started, the show was still all over the place, with random episodes like “Honor Among Thieves,” “Time’s Orphan,” and “Prodigal Daughter” that felt so small-scale being set while a war was going on. Season 7 in general was a weak ending in my opinion. The single strongest episode of all DS9 is often regarded to be “The Visitor,” which tells a beautiful stand-alone story, yet has no real connection to the rest of DS9. As ConfusedMatthew put it, “The Visitor” is basically a TOS episode. Now B5, despite weaker production value and some stiff dialog, was about one thing: Story. It tells a strong story over the course of five seasons, as if one long novel. And it builds its own mythology, with various legends and mythical elements. It was like LORD OF THE RINGS in space: a true epic. DS9 was hindered by the fact it was part of a larger franchise that couldn’t be tampered with too much. We all knew that the Dominion would never win the war; if they did it would screw up the stories occurring on VOYAGER and the TNG movies. In fact, it was pretty awkward how in INSURRECTION, Picard only gives the Dominion a passing reference when there was supposed to be a war going on. On B5 on the other hand, all bets were off. This leads to another point: the fact it was part of a franchise kept DS9 from taking risks. For example, they tried to introduce the idea of moral ambiguity for Sisko (“In the Pale Moonlight“) as well as Starfeelt (Section 31). But these were only passing things. They expect kids to buy Sisko action figures and place them next to their Kirk and Picard action figures, so we all knew they would never really make him do anything that bad. Same with Starfleet. B5, on the other hand, had zero problem making Earth the villain, and showing being caught in moral shades of gray. Religion was a theme in both shows, but it was also dealt with much more intelligently on B5. On DS9, the characters simply were religious (Kira in particular talked about it a lot) and did a few interesting episodes with Kai Winn before getting confused in the final season and having a bizarre finale where Sisko and Dukat fought over a magic book with spells in it. I also found it weird that the Bajorans talk about having “faith” in the Prophets when it was a demonstrable fact that they existed and all one had to do was fly into the wormhole to talk to them directly. B5 was more mature in that it showed a multitude of religions from the different races and cultures, and it never really “judged”them. Basically, DS9 was all about talking about religion; B5 showed how it affected the plot of the story. Finally, I would like to say that the actual Babylon 5 station was just a plain more interesting place than the Deep Space 9 station was. 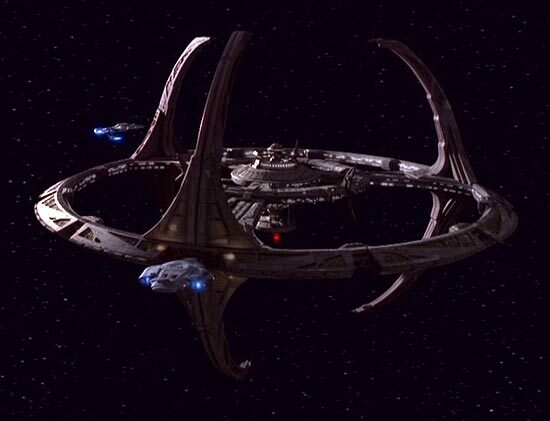 The Deep Space 9 station was not that integral to the story and its only real political significance was that it was located by the wormhole, which was only relevant sometimes. Many of the episodes, possibly even MOST of the episodes, could easily have taken place on Deep Space 1-8, or on a ship, without the stories being affected at all. 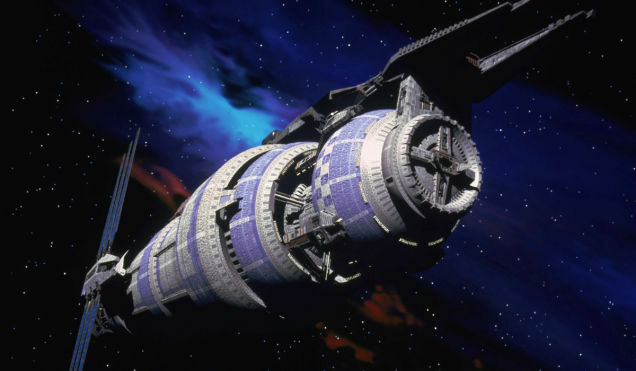 The Babylon 5 station, on the other hand, is a unique place in its story’s universe, being one of a kind and being politically neutral. When the station breaks away from Earth politically, it becomes a sovereign state. This makes the station a thematic symbol. I have to agree. Re-watching B5 though it does start rocky and steadily improve until the end of Season 4. The whole Season 5 situation was unfortunate. JMS should just have let go at 4. B5’s creator and production team were not notified about being picked up for season 5, so Straczynski jammed the B5/Earth conflict into Season 4. (It certainly made the second half of season 4 very exciting!) When they were approved for a fifth season, he had to come up with stuff, like the telepaths, and Bester (one of the best villains ever). I think he might have thought about a telepath war movie after the show was complete, between Lyta’s telepaths and the PsiCorp. Love to have seen that! I have to say I don’t agree with all of your points, but they are your opinion, after all. 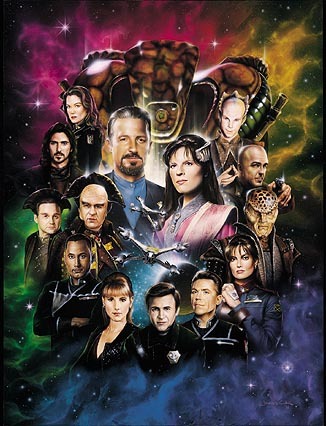 I love both shows and I do think B5 was better in that it have a 5-year storyline, with individual episodes not having much to do with that storyline; however, you can see lots of little things and hear some statements that do pertain to the arc in many of those episodes if you pay attention. Also, Straczyinski shopped B5 to Paramount before DS9 was develop; many people believe Paramount stole the space station idea from him. I don’t really care, I just love both shows. 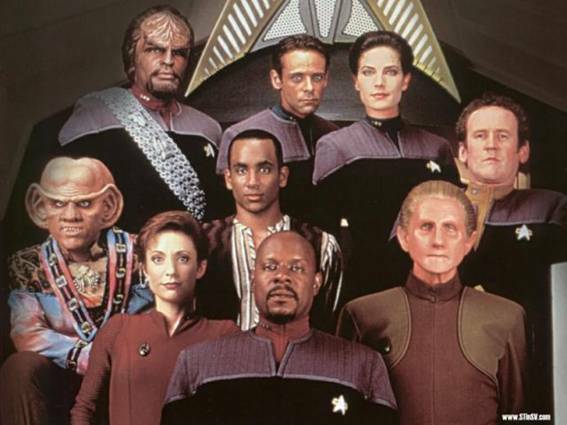 ….just finished ds9 and I still think B5 is so far better than ds9. Ds9 dragged through 5 season just to get interesting….B5 on the other hand only had a handful of really cringe worthy shows. I’ve watched B5 maybe 5-6 time now….love it.